As you probably know, Creative Consulting & Marketing Group's mission is to empower entrepreneurs around the world. We have a goal of helping anybody who wants to be helped. With that said, one of our most successful projects is teaching women how to use their talents and become certified skin care analysts. Women are starting more businesses now than ever. We're so glad to be able to connect with coaches that can help them bring out their passions through a beauty business of their own. 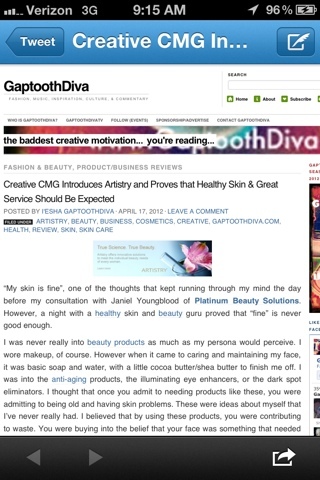 Shout out to @GapToothDiva and Gaptoothdiva.com!